Sandy Viguers rests with Mikki, a Black Cap Capuchin monkey. 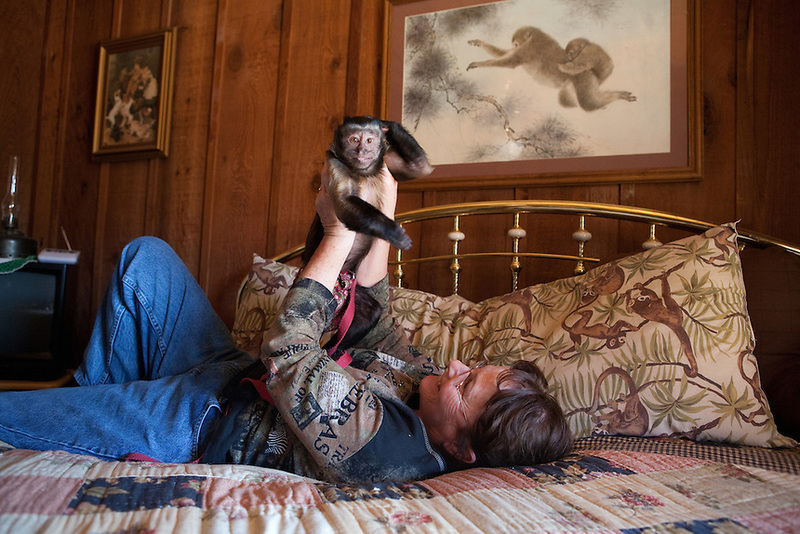 Dave and Sandy Viguers live with monkeys at their home outside of Lampasas, Texas. February 22, 2009.